If there is a signature English food it would have to be roast beef. 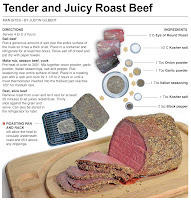 It’s considered England’s national dish and there is a famous 18th century song called “The Roast Beef of Old England.” The lyrics suggests the British empire was weakened by eating fancy French food and not enough hardy roast beef. Today the song is played to summon the Royal British Navy to the mess hall. 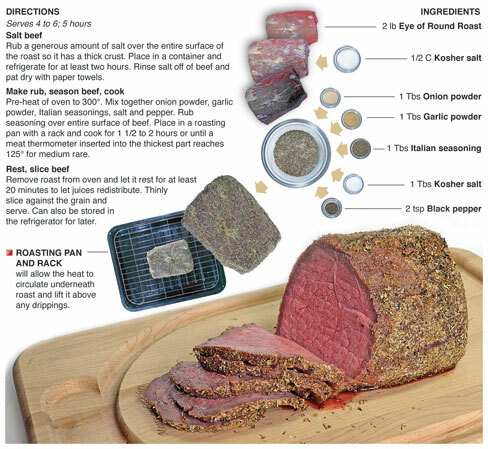 For this recipe, I make my own version of roast beef. 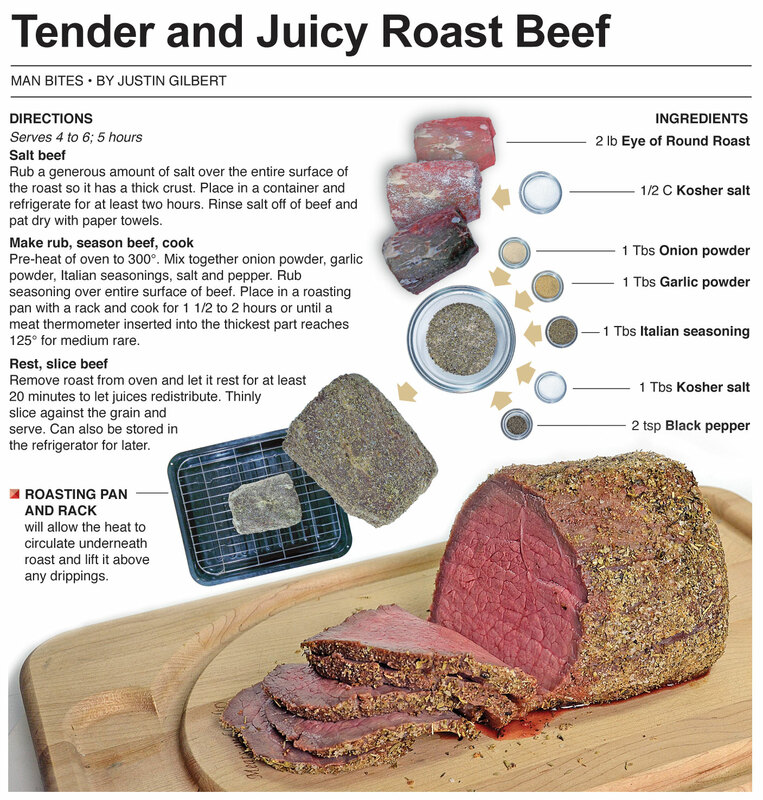 I use a salt crust during preparation to create a protective barrier that holds in juices. 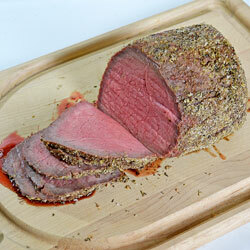 It is then cooked low and slow and sliced against the grain for extra tenderness. I season it with a mixture that features Italian seasoning – which will probably ruin my chances of ever being knighted by the Monarch of England. The best British cooking I have ever eaten is at a tiny little stand in New York City called A Salt & Battery. It’s the only time I have ever consciously known I was in a British food joint and it was hands down the best battered and fried fish I have ever eaten! I sarcastically say that I have never suggested to friends that we get takeout from a British restaurant in the introduction. That statement is true, but if I had to suggest a place it would be A Salt & Battery. That said, it is the ONLY British food joint I could ever recommend because I know of no other - But, I know they exist. My column appears in the paper on Wednesday, so it has to be turned in on Tuesday. Each one takes anywhere from 8 to 16 hours to complete. I usually spread that time commitment over a couple of days so I have time to rethink or change parts of the design or writing, or even re-cook the recipe. This week the weather backfired on me. We had hi temperatures in the 40s and freeze warnings at night over the weekend. On Friday, it looked as if we would have cool weather throughout the following week. That changed, and the hi for the day it is to run in the paper (today) is predicted to be 82° and the warm temperatures are supposed to stick around for a while. This may not seem like a big deal, but had I know it was going to be so warm I would have roasted the beef over indirect heat on the grill rather than in the oven. I look kind of foolish showing people how to sweat in a hot kitchen rather than enjoy the weather while they cook. That’s mother nature for ya. She can be a real pain during the spring in Northern Indiana.